If you are planning to donate your car to Goodwill of Greater Washington, it might be a good idea to wax the car first so it will look new and shiny for the auction. The better the car looks, the more money someone will be willing to pay for it. Keep reading to learn how to wax your car yourself. The first step to waxing your car is knowing when your car needs to be waxed. Most cars need to be waxed at least twice per year. You can find out if your car needs to be waxed by rinsing the car to see if the water beads up on the surface. If it doesn’t, the car needs to be waxed. Next, you will need to wash your car thoroughly to ensure that no dust or dirt particles will be trapped under the wax. 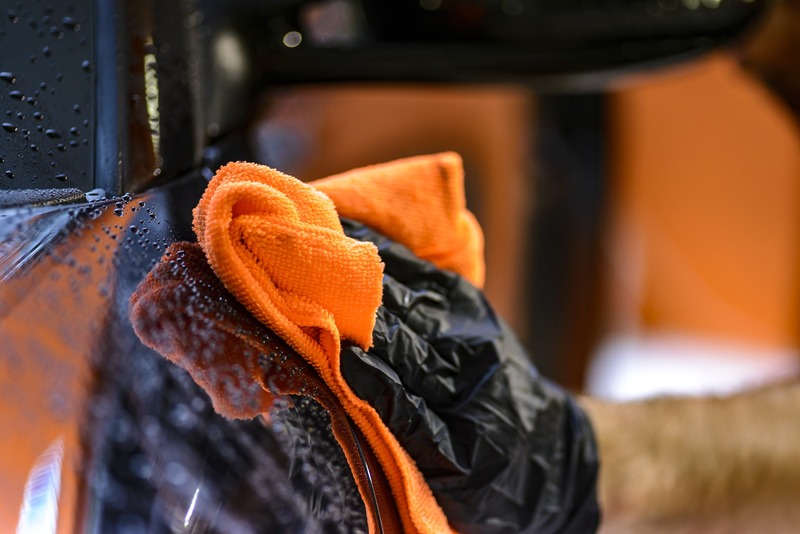 When washing cars that are dark or have a clear lacquer finish, it is important to wash the car with non-abrasive soaps and waxes. Next, it is important to dry your car completely with a lint-free towel so that the lint won’t get stuck underneath the wax. Once the car is clean and dry, you can begin to apply the wax. Most waxes should be applied with a soft, lint-free cloth or with the applicator that comes with the product. Liquid wax: This wax is the easiest to apply but doesn’t last as long as others. It is a good option for a touch-up. Soft Wax: Soft wax is easy to apply, you just need to wipe it on and wipe away the haze after it has dried. However, some of these can contain abrasives so be careful not to use them too often. Hard or Paste Waxes: These waxes work well when you are doing a major wax job because they last a long time but take longer to apply. Polymer preservatives: These are substitutes for wax that are easier to apply and, according to manufacturers, protect the vehicle as well as wax for up to one year. Polyglycotes: These are used by professionals and auto manufacturers and are supposed to last two to five years. For reviews of car waxes on the market, click here. Once the car is clean and waxed, it will be ready for the auction. The more your donated vehicle sells for at the auction, the larger your tax deduction will be. To learn more about donating your car to Goodwill of Greater Washington, browse our most frequently asked questions or give us a call 24/7 at (866) 233-8586.